Newly renovated house situated at 3 Km from the Bucharest Old Town, near the Muncii underground station and close to the Bucharest National Arena Stadium, Peaches Hostel offers : outdoor terrace with barbeque area, relaxation zone with sofas and hammocks, and large dormitory rooms with 6 and 10 beds and also a private double room and a large common living room with fireplace. 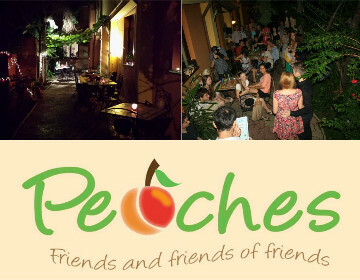 Bucharest Tips team has reviewd Peaches Hostel Bucharest - Hostels in Bucharest. You can get here description, reviews, address, map, phone, website of Peaches Hostel Bucharest in Bucharest. Visit Buchareset Tips for more Hostels in Bucharest!